The Latin dances include salsa, bachata, merengue, chacha, and has recently grown to include kizomba. 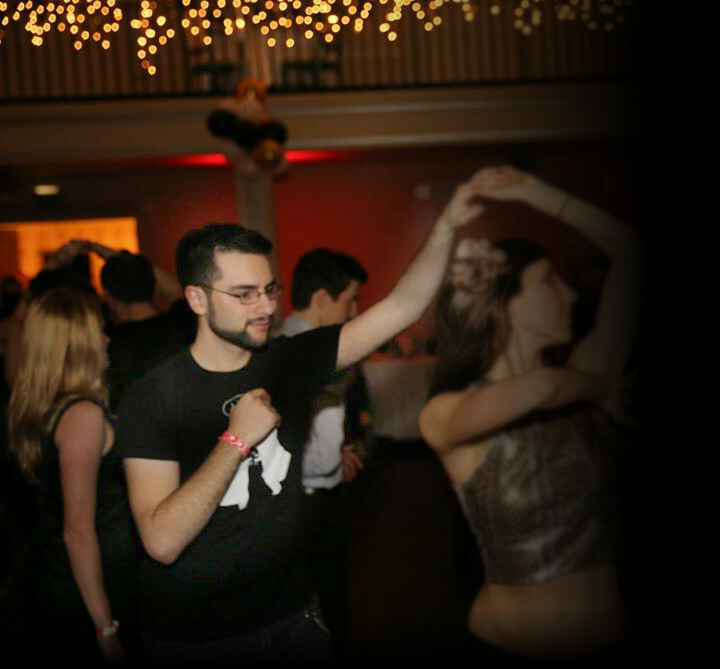 Adam was a founding member and lead instructor of the Rochester Institute of Technology's Latin Rhythm Dance Club, which provided free Latin dance lessons to the campus and the surrounding Rochester community. He also came in 3rd place in the LAU merengue competition in 2012, and second place in Rhythm Soceity's Amateur Latin Dance competition 2012. Most people are familiar with blues music, but not everyone knows that there is a dance associated with it. Blues dancing has been growing in popularity across the world. Adam is the instruction coordinator for Pittsburgh's local blues dance, Hot Metal Blues. He is also a committee member of two national blues events: Steel City Blues and Snowbound Blues. Jitterbug swing first appeared in the 1930's, and is still popular to this day. Adam is one of the regular instructors at Pittsburgh's Swing City (and also the dance's web developer). He has also taught beginner workshops in Erie PA and for the Chautauqua Institute. Adam is available for group and private lessons in any of the styles of dance listed above. Adam usually replies to messages within 2 business days. While this is not a complete list of dance venues in Pittsburgh, these are the places you are most likely to find Adam. Dance is free, lesson prices range from free to $5.